Throttle limit is applicable only to agents who are associated to categories which has “Auto assignment with load balance” set. 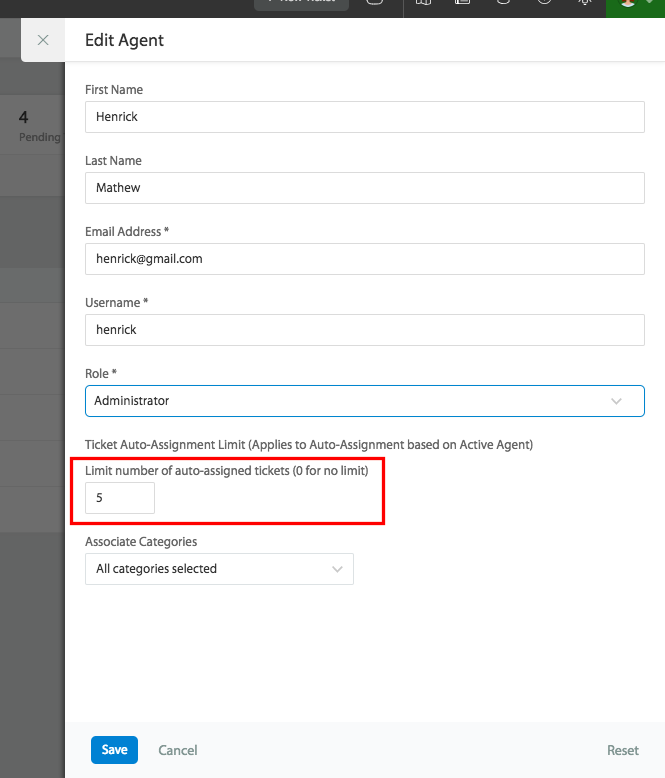 Note: Only agents with “Manage Agents” permission can edit other agents details. Also agent cannot edit oneself or the account admin’s details. Click on the agent from the active agent list to view their details. Click on the “Edit” option and authorise yourself by entering your password to proceed with editing. On successful authorisation you can edit the throttle limit of an agent if applicable. Note: Agents will not see the “Edit” option when they are viewing their own details.